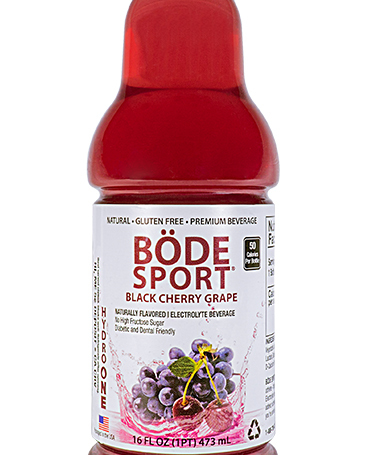 BÖDE Sport is a healthy sports drink that hydrates and restores. 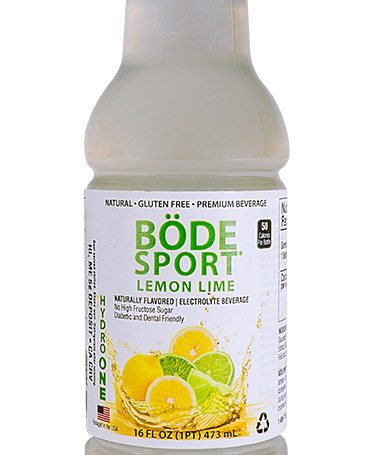 BÖDE Sport was the vision of our two scientists that, along with the help of an accomplished athlete, created a beverage that hydrates as well as restores electrolytes, carbohydrates, and other nutrients which can only be depleted after exercise or athletics and is an excellent source of replenishment for athletes training or competing. Electrolyte replacement promotes proper rehydration which is important in delaying the onset of fatigue during exercise. BÖDE Sport also contains nutrients such as CoQ10 and D-Ribose. These nutrients help support muscle recovery and promote optimal performance. So if you’re serious about your hydration and your body, then DRINK BÖDE. DRINK FOR YOUR HEALTH. All Hydro One Beverages are kosher and gluten-free. 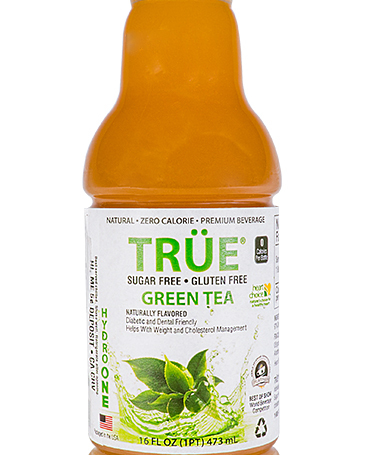 Are you looking for a flavorful alternative to other unhealthy drink choices? 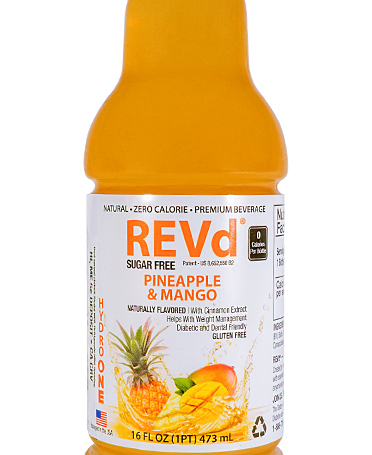 Look no further: Hydro One REV-d is a tasty beverage designed especially for diabetics. It’s a low-calorie drink filled with nutrients. The nutritional facts speak for themselves. Hydro One REV-d contains all-natural FDA approved ingredients and is gluten-free with no artificial coloring or flavoring. Hydro One REV-d has 0 sugar grams, 0 fat grams, and 0 carbohydrates and is packed with 10 nutrients and vitamins (see nutritional facts below). Hydro One Premium Beverages are hot filled with reverse-osmosis water for pasteurization and each bottle of Hydro One REV-d carries the dietary Exchange List verification for Meals planning. 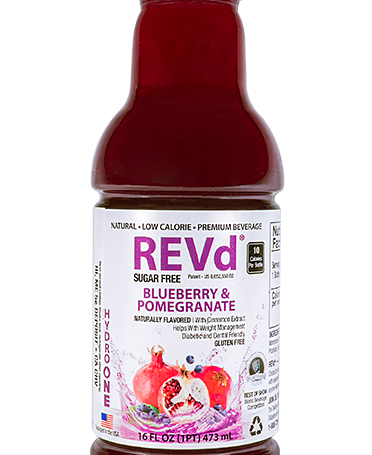 Hydro One REV-d, with 5 calories per serving, is a super low calorie meal replacement unit and not intended to diagnose, treat or cure disease. Drink 2-4 bottles a day for optimal results. Hydro One REV-d contains all-natural FDA approved ingredients and is gluten-free with no artificial coloring or flavoring. Hydro One REV-d has 0 sugar grams, 0 fat grams, and 0 carbohydrates and is packed with 10 nutrients and vitamins (see nutritional facts below). Hydro One Premium Beverages are hot filled with reverse-osmosis water for pasteurization and each bottle of Hydro One REV-d carries the dietary Exchange List verification for Meals planning. Hydro One REV-d, with 0 calories per serving, is a ZERO calorie meal replacement and not intended to diagnose, treat or cure disease. Drink 2-4 bottles a day for optimal results. “I have sampled so many drinks in my lifetime, and truly have found the best. After our Thursdays hiking trips with a group from OLLI, Furman University, we stop at Williams Hardware in Travelers Rest, outside Greenville. I had my first bottle of REVd Pineapple/Mango. It is the best drink I have ever had. I love hot tea; I love water and milk…..and now I love this incredible lite drink of pleasure.